From business deregulation, tax reform and a heavy focus on jobs, an economic push is undeniably impacting the world of work. However, a stagnant federal minimum wage, growing overtime concerns and the possibility of a trade war threaten to shake things up to the point of non-recognition. It will be interesting to see how the convergence of the “gig economy” –defined as a labor market characterized by the prevalence of short-term contracts or freelance work as opposed to permanent jobs– and tax reform will impact hiring in the next few months. Historically, independent contractors paid higher taxes when compared to a similar salaried position. But thanks to the Tax Cuts and Jobs Act’s pass-through deduction, contracting may mean lower taxes than full-time employment. We could see an even greater swell of independent contractors in the coming year. However, finding affordable health insurance and saving for retirement is more of a challenge. Workers may wind up choosing between employer-based healthcare and the deduction. 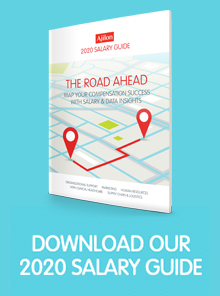 Employers and employees alike need to be agile as we navigate this new business landscape. While there is a lot of talk about automation eliminating jobs, perhaps the bigger issue is a growing skills gap. Companies cannot find the workers with the right skills at the right time, and this disconnect is slowing economic growth. Schwabel cited a study from IBM, which found that 84 percent of employees at the best performing organizations are receiving the training they need. Conversely, only 16 percent of employees are receiving adequate training at the worst performing companies. Employers are taking note. Consider AT&T: the company realized the skillset of 100,000 of their employees would be irrelevant in a decade and created the Workforce 2020 initiative. To date, they’ve invested over $1 billion to upskill their employee base, and employees spend five to ten hours a week on retraining. More companies will need to invest in training for the skills they need now and in the future. Colleges and individuals may no longer be willing to make that investment for them. The education industry is being disrupted, with more third parties offering courses, credentials and certifications than ever before. With an abundance of quality courses being offered online for low or no cost, younger generations are starting to resist the traditional degree (and its high price tag). Gen Z isn’t the only segment of the workforce taking part in new learning trends. Many adults don’t have time for extended, formal classroom experiences. Instead, they’re taking part in microlearning. They’re utilizing web videos, apps and other tools that provide learning experiences that last anywhere from a few seconds half an hour. Even the Ohio Society of CPAs now offers continuing professional education (CPE) in 10-minute increments. In an evolving workplace, more employers will adopt new practices and accept alternative educations and credentials to build a diverse talent pool. Diversity is essential to success at every level of an organization. Research shows that differing thoughts, approaches and experiences shared in diverse cultures lead to better decisions, more innovation, fewer errors and increased productivity and profitability. Companies have been talking about diversity at a strategic level for years, but it has finally reached the point where they’re investing money in bringing strategy to life. SAP recently reviewed their own gender pay gap, taking into account factors such as years of experience, past performance, and employees’ locations. As a result, the company spent about $1 million increasing salaries where they found discrepancies in gender pay. It’s up to talent acquisition teams to take a leading role in diversity initiatives by taking an objective look at the recruitment process and looking for opportunities to reduce the barriers that quality diverse candidates face. Employers who want to move the needle on building diverse teams need to re-evaluate hiring requirements. Take a good look at the requirements for each role and eliminate any that are not directly tied to success. Hiring for skills and competencies rather than education and experience will bring you a more diverse applicant pool. Technology can make the workplace more efficient, but its overuse and misuse are also making individuals feel lonely. Several large companies are working on making it more attractive to be in the office. Apple and Google are rethinking their workspaces to encourage interaction and collaboration. Other companies, including IBM, Honeywell, and Bank of America have pulled back their telecommuting programs. Technology cannot trulyreplace face-to-face communication. In fact, research has found that one face-to-face conversation is the equivalent of 34 emails back and forth. Encourage employees to interact socially and speak instead of typing whenever possible. Water-cooler conversations aren’t time wasters, they’re an investment in engagement. Studies have shown that camaraderie between coworkers increases performance and helps workers feel more satisfied with their jobs. Even companies that remain telecommuter-friendly need to put more emphasis on video conferencing to improve communication when people work remotely. Leaders who encourage personal connections will have more committed, satisfied and productive workers. HR leaders are increasingly citing employee burnout as the root of workforce turnover. That burnout is caused by unfaircompensation, an unreasonable workload, and too much after-hours work,. Full-time employees work more hours each week and get emails from management after-hours and while on vacation. The technology that was supposed to increase freedom and flexibility has actually extended the workday. Employees are forced to spend more time working for the same amount of money – while companies are posting record profits. In order to prevent employee burnout, companies must focus on creating wellness and flexibility programs that allow employees to take time off, truly disconnect and stay healthy. This year is seeing changes to the landscape of the American workplace, and we work everyday to stay ahead of the trends. Don’t just keep up; step up. To connect with the best in professional staffing, visit ajilon.com. 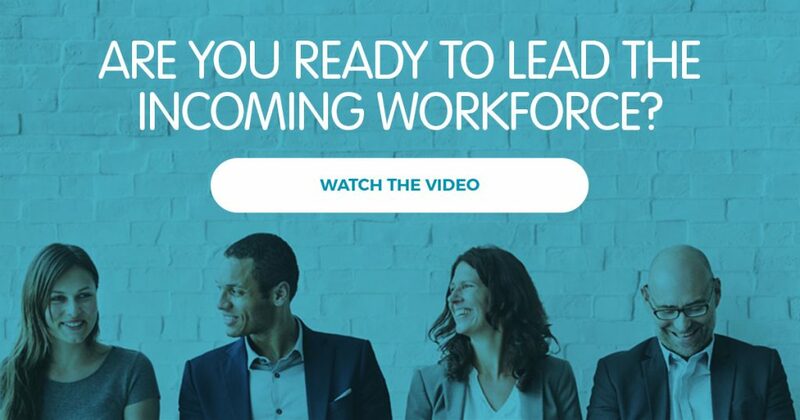 If you want to make sure that you’re ready to manage the workforce of today and tomorrow, check out our webinar on how to lead a multigenerational workforce.